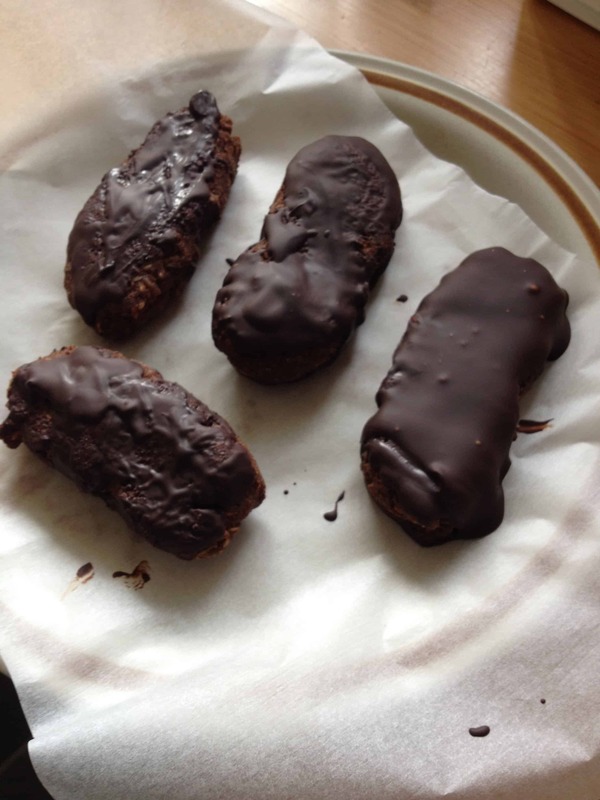 Gluten free, low carb, amazing chocolate covered protein bars! 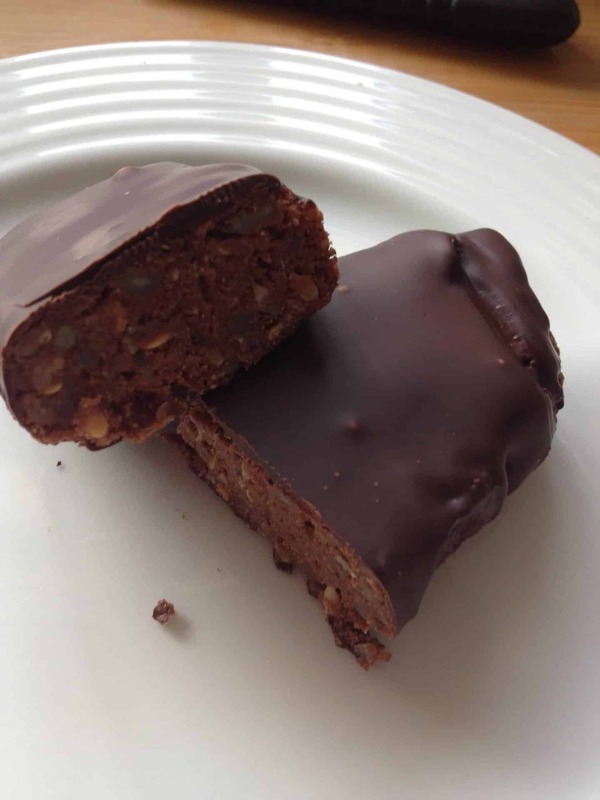 I’ve always wanted to have a go at making protein bars – the ones you can buy in the shops often have added carbs or sugars, and as I’m on a restrictive low carb diet at the moment, I needed something to suit this. I scoured the internet to find something, and managed to mash together a few different recipes to create these beauties! Packed full of protein and healthy fats, they are great to make and freeze so you can take them with you on-the-go. I had a couple of days last week where I was away on various trips and these were a great meal substitute for me to get me through the day! As you can see, these are super low carb and super-duper low sugar! They’re perfect for fat loss – for those who don’t know I’m on a mission to get fit with my O/H Steve who owns Reform Personal Training. I’m now at my lowest body fat percentage, and I’ve lost 1.3% body fat while maintaining my weight over the last two weeks with the help of these bars, so I must be doing something right! You could, if you wanted, roll them into truffles instead of bars and have more of them, though I wanted mine as a meal replacement so to hit the right calories and macros I needed to have them in a bar! They are gluten free and wheat free – and you could make them dairy free by using a pea or hemp protein instead of whey. They’re the perfect balance by not being too sweet, and the chocolate coating makes them seem decadent even though it’s actually really healthy. If you want to be really badass, you could even up it to use a 90% chocolate – but I stick with 85% because I like having a little bit of sweetness! Chuck everything except the dark chocolate into a blender and blend until it forms a thick paste. Resist the urge to scoff the lot in one go!! I also froze my bars wrapped in greaseproof paper, which meant I could take them with me and they could defrost in my handbag so they didn’t melt in the summer sunshine! I hope you enjoy these, I’ll be making a lot more goodies and treats like this so keep your eyes peeled as I continue on my fitness journey! Love it!! How do you keep the chocolate from melting? I made a batch few days ago, they were fine in the freezer but started melting as soon as out at room temperature.